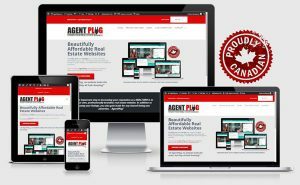 At AgentPlug.com we have nothing to hide and openly offer comparisons and links to our Canadian competitors that post their pricing online. How is Site Speed Determined? We use GTMetrix.com to independently test the page loading times of our sites vs our competitors. Using this tool, you can check for yourself how fast our sites, or our competitors sites, are by simply entering a URL. Google has indicated that site speed (or page load time) is an important factor when considering page rank. Ideally, a page should load in 3.0 seconds or less. Speed is also important to user experience. Pages with a longer load time tend to have higher bounce rates and lower average time on page. Longer load times have also been shown to negatively affect leads and conversions. As a REALTOR, you cannot afford to have a visitor abandon your site because they did not want to wait for a page to load or think something is wrong. SSL or ‘Secured Sockets Layer’ is the term used to describe a secure website. Sites that use SSL encrypt data before it is transmitted to ensure privacy and prevent hackers from obtaining personal information. Example: If a visitor completes a contact form on your real estate website that is SSL enabled, the data is safely transmitted to your site. Without SSL, the data is un-encrypted and vulnerable. Bonus: Google Search gives priority to sites that are SSL enabled as they know it is important to protect your visitors data. When comparing our sign-up fees with our competitors, be sure to compare apples-to-apples. Our sign-up fee includes a custom header and landing page artwork. While some of our competitors don’t have an upfront sign-up fee, they do charge extra for a custom header. We include these extra fees in our calculation, because let’s face it, what good is a website if you don’t have a custom header? We have been building websites for Canadian businesses for nearly 20 years and have a lot more to offer than just great designs. Your REALTOR website must meet strict guidelines in order to comply with CREA policies and regulations. In addition, your site needs to be fully SEO ready, work on all types of devices, load fast and be safe from web vulnerabilities and viruses that can render havoc on your business. Ok, so you know we build amazing REALTOR websites, but if you are still not convinced your Real Estate business requires a website, you should read this. Worry free. When you sign-up with AgentPlug you are entitled to a 100% refund if you are not happy with your new REALTOR website – just cancel within 14 days of purchase. We will maintain your REALTOR website for as long as you continue to subscribe. Easily manage and/or cancel your subscription anytime from our My Account page.